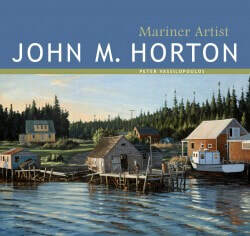 From vessels, harbours and major seaports to Canadian troops in the Persian Gulf, the subjects of John M. Horton’s paintings tell a story, and this exquisite book presents some of the artist’s finest work, along with a revealing look at his life and professional development. 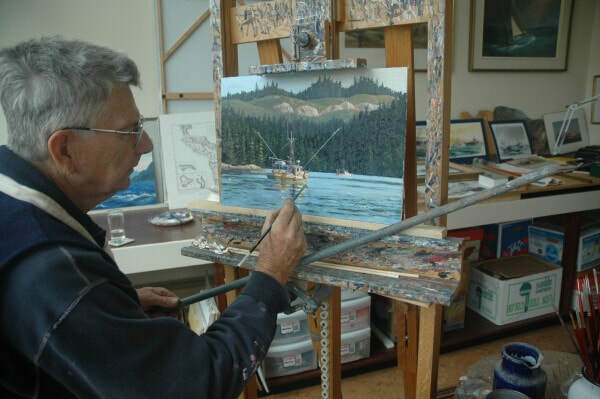 ​In the world of marine painting, John Horton is second to none, and his work is prized by collectors all over the world. 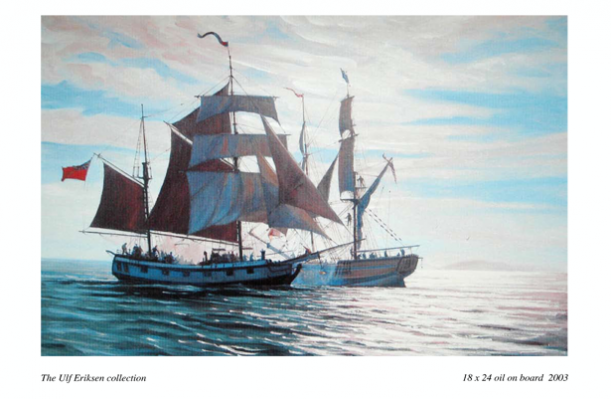 A member of the Canadian Society of Marine Artists, the Federation of Canadian Artists and The Honourable Company of Master Mariners of Canada, Horton is the only Canadian marine artist cited in Dennis Brook-Hart s authoritative work Twentieth Century Marine Painting. Born in England, Horton spent several years in the Royal Navy, apprenticed in the shopfitting trade and worked as a designer and architectural artist before immigrating to Canada in 1966. In Vancouver he found the perfect environment for nurturing his life-long passion for the sea and its history. Over the years, he has produced more than 1,100 paintings, all of which are meticulously researched, richly detailed and technically accurate. For his series depicting Captain George Vancouver’s 18th-century voyages of exploration and discovery, for example, Horton himself sailed Vancouver’s routes, from the Olympic Peninsula to Alaska. Many of his paintings incorporate recognizable shore features. From vessels, harbours and major seaports to Canadian troops in the Arabian gulf, the subjects of Horton s paintings tell a story, and this exquisite book presents some of the artist’s finest work, along with a revealing look at his life and professional development. Since arriving in Canada, I have had the pleasure of working and cruising on one of he loveliest coastlines in the world. The Sunshine Coast, Desolation Sound and the Discovery Islands are but one part of the coast worthy of exploration. And I have had the pleasure of enjoying these areas along with many others in my years of cruising on the British Columbia coast. Rugged, wild and sometimes peaceful, blessed with a natural beauty of abundant wildlife, for the mariner new and unknown places can be frightening yet fantastic. I have always carried a library of books aboard my own vessel to inform me of the navigational hazards and dangers that I might encounter as well as the fascinating history of the Pacific Northwest. Included in my collection are all of the beautifully produced and well written cruising guides by Peter Vassilopoulos. They are all in constant use and the fact that they are updated regularly keeps me abreast of our ever changing coastal installations. Peter Vassilopoulos is an enthusiastic mariner and knows the coast and its people well. The friendships he has developed over the years in villages, towns and out-of-the-way settlements make his books more interesting, valuable and accurate. I look forward to adding this book to the shelf over my chart table.